The Antarctic Observatory is a small project designed by Borja Abellán, a member of Tada Studio. The project was designed to control Antarctic Icebergs. 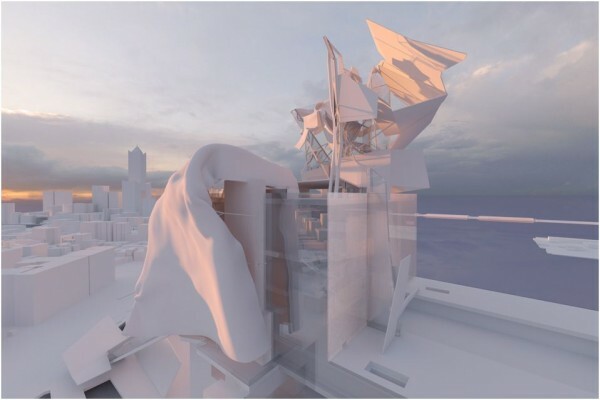 The form of the observatory allows snow to provide thermal insulation and water supply. 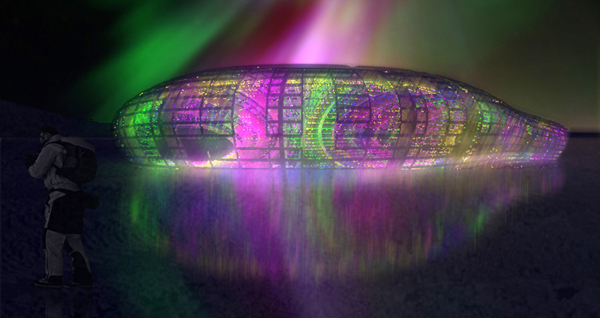 It is half-buried and the facade is translucent, because there are 6 months of daylight. Moshe Safdie took an essentially humanist approach to the design of Golden Dream Bay. 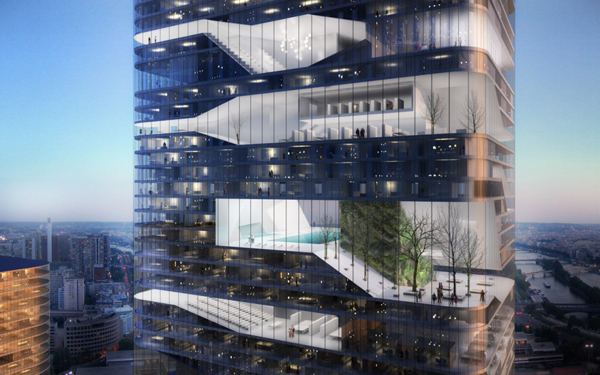 Safdie re-imagines the concept of dense urban living with a focus on creating an ideal “penthouse” space of each of the 2,200 residences. 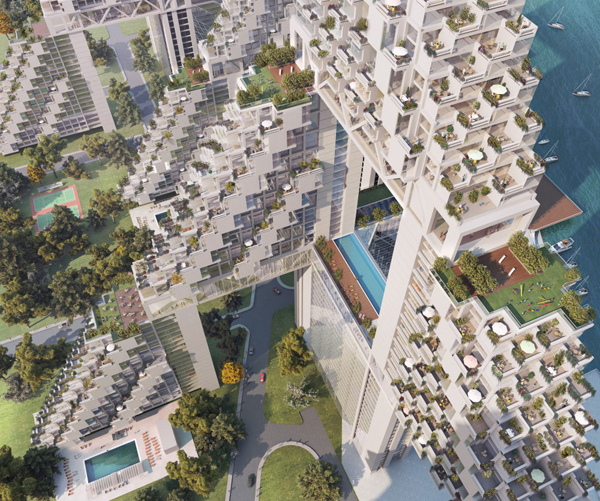 Safdie deconstructs the residential skyscraper and reforms the layout into four repeating geometric vertical structures that are linked by skywalks like a chain. The structures appear as if someone sliced open a skyscraper diagonally. The diagonal design maximizes personal space and allow for many of the apartments to open up into roof decks with picturesque views of the surrounding Qinhuangdao (China) beach setting. The design visually engages the superstructures with one another as well as each individual apartment with its neighbors. Gardens drape Golden Dream Bay like those of ancient Hanging Gardens of Babylon to “create a garden environment combining numerous private and public gardens in the sky”. Apart from the personal gardens that many of the apartments feature, public garden and pool areas are located atop the parking deck, 15th, and 30th floors. With a short list of ambitious designs by Akihisa Hirata, Studio Gang Architects, Yves Bachmann and this featured design by Mack Scogin Merill Elam Architects (MSMEA), its fair to say the Kaohsiung City Public Works Bureau did not have an easy choice to make when they decided on a final design for the Kaohsiung Maritime Culture and Popular Music Center. Although MADE IN’s design was ultimately chosen for the Center, many of these other entries are still worth their mention. With possibly the most “out there” design for the Center, MSMEA sought to create a 24 hour, iconic attraction for Kaohsiung. The eclectic design for the larger component, the Pop Music Center, and the concept for the Center as a whole for that matter is “founded in the vibrancy of Kaohsiung City and its maritime culture, and in the energy and phenomenon of popular music”. The two main components, the Pop Music center and the Marine Culture Exhibit Center are placed on either side of the Love River and joined by a bridge spanning the mouth of the river. 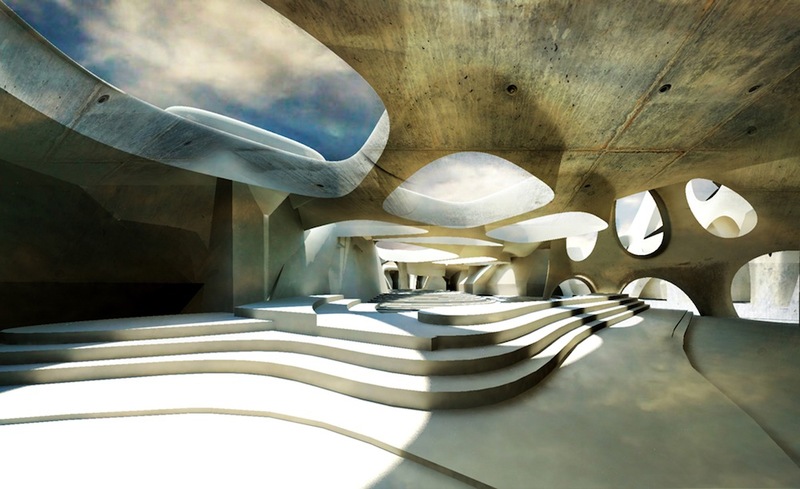 The Pulse of Sinai Bedouin Development Center is a design by Aly Ahmed Kamal Soliman that was chosen as an entry into the 2011 Archiprix International graduate design competition. It is meant as a monument and celebration of Bedouin culture in the Egypt and as a means of integration into greater Egyptian culture. Soliman captures the Center’s purpose by drawing a remarkable celebration of Bedouin values in the Center’s architectural form. The structure of the Pulse of Sinai is based entirely on Bedouin culture and society, and is designed to be a sort of journey through history and towards the future. Separate showrooms for each Bedouin tribe all lead to a plaza, a reference to the Bedouin tradition of gathering in a common meeting place to make societal decisions. 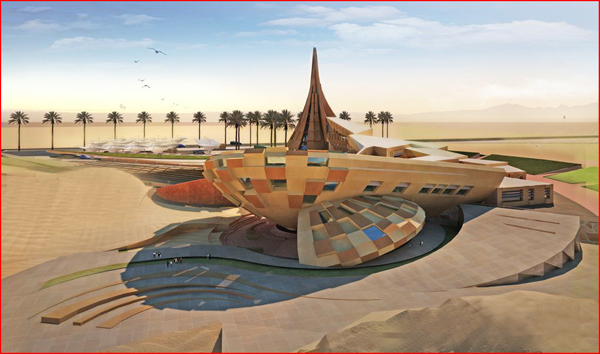 This plaza emphasizes Bedouin heritage with exhibits and historical information. Commended recently by the Mipim AR Future Awards was the Grenelle Tower in Paris, France, designed by Atelier Zündel & Cristea. The skyscraper, from a distance, resembles crinkled white paper stacked high, with brown sheets randomly thrown in every few levels. The architects dub this aesthetic design “spatial texture,” and it rises a total of 200 meters. The “brown sheets” mentioned above are actually multi-level floors that are interspersed throughout the building and that bring open spaces and foliage to people working and living inside of the structure. Uniform levels surround these multi-dimensional spaces on all sides: a design that maximizes most space but allows for a myriad of uses. inFORM’s design for a multi-purpose pedestrian bridge beat out designs from 47 other firms in a competition to design a pedestrian bridge to replace what used to be the main artery bridge for interstate 195. A new more efficient I-195 bridge has since been constructed and so Providence looks to take advantage of the prime location with a pedestrian connector. inFORM’s bridge is more a landmark than a means of passage, what they are calling an “urban intervention”. The boardwalk design includes gardens, spaces for sculptures, a sundeck, outdoor seating and even a built in café. 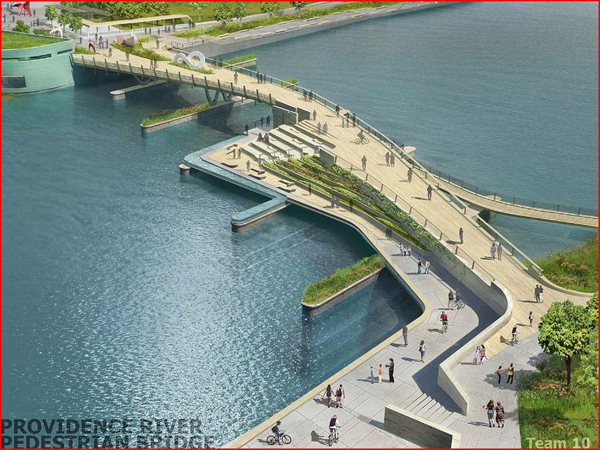 The bridge will integrate with existing and planned green space along the river as well as with the existing riverwalk. The Lantern Pavilion by firm AWP / Atelier Oslo blends the avant garde with traditional woodworking in a see-through gathering space raised on stilts. 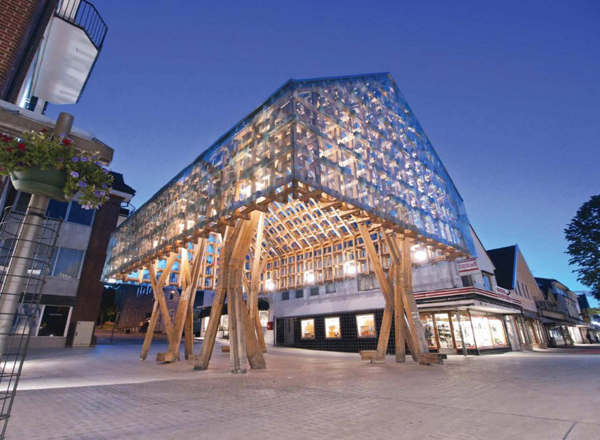 In 2008, the cities of Sandes and Stavanger, Norway were chosen as cultural capitals of Europe, This led to the Norwegian Wood competitions, which were held to promote creative use of timber in architecture – with the hopes the new cultural capitals could showcase the designs. Thus, art centers have many roles beside their fundamental functions that should be participant, shared with society and create a modern level in connection between the citizens and the artists’ works. 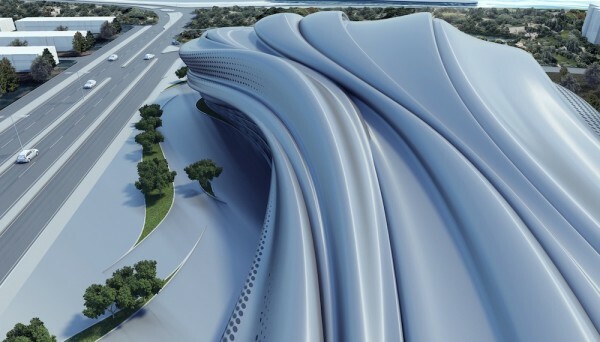 This concept is the key criteria for the Izmir Opera House Project designed by Emrah Cetinkaya. The project should be reflecting the history, the culture and the modern life in Izmir, furthermore it should be an identity for the city of Izmir. And competition area also allows us to create an identification or a symbol for a city that because the area can be seen clearly from near surroundings and specially from sea side areas. This situation came to the forefront. So we considered important in it. 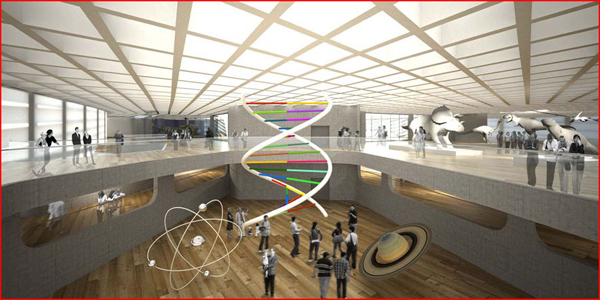 The competition for the Center for Promotion of Science of the Republic of Serbia (CPSRS) has received some incredible designs. Sadar and Vuga envision the Center as a sleek, streamlined, modern building to accompany the existing buildings of the Faculty of Drama Arts. Sadar and Vuga’s Center is a one storey building that touches the ground with four outstretched legs in each corner, connected by four arches. The modern design presents a futuristic form to contrast with the landscape atrium at the center of the building, blending science with nature, the major theme of the CPSRS. The atrium was created to be the focal point of the design.